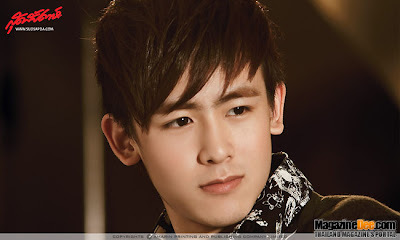 Nichkhun Horvejkul is a Thailand Chinese singer and part of Korean Boy Band 2PM, roled as Sub Vocal and dancer. 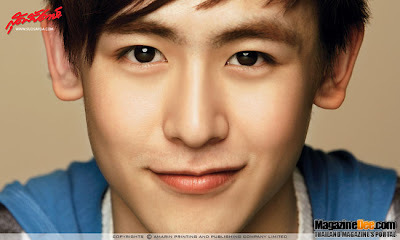 Nichkhun born in California, and moved to Thailand at age 5. 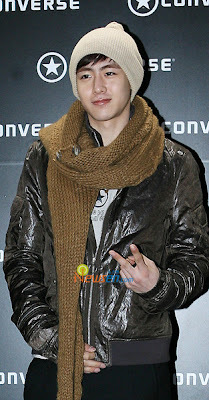 Later he moved to Korea in 2006, therefore he doesn’t really fluen in Korean Language. 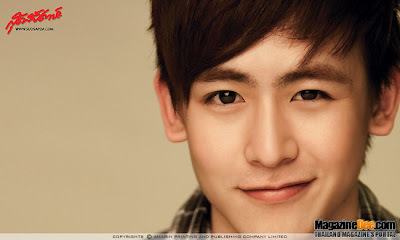 Nichkhun popularity may be equal with 2PM former leader Park Jaebom. 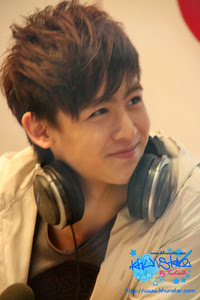 May be his cute face and mixing face between Thai and oriental looking. 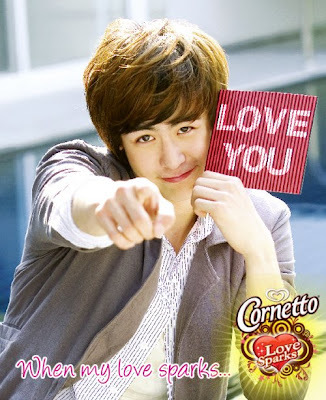 Nichkhun is very popular in Thailand, and he help Thailand to promote the tourism by commercial video titled Thailand, Let’s Take a Break. Base on a love story between an ordinary person and a superstar as in the hit movie, “Nothing Hill”, a new TV program called “Mnet Scandal” on Mnet channel has recently become a talk of the town after airing its first two episodes. 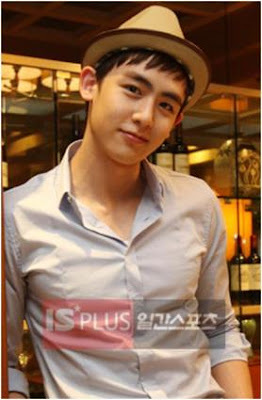 And in its third episode, Nichkhun of 2PM will play a boyfriend role to a girl who is close to his ideal type. 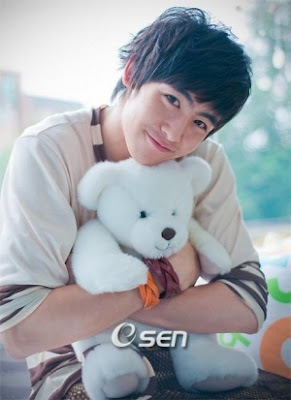 Nichkhun had told the program that he prefers an older or same age girl whom he can talk freely with. He likes a girl who eats well and can make him crave for food just watching she eats. On a date, he just wants to go to a theme park and holds her hands while skating on an ice skating rings together. 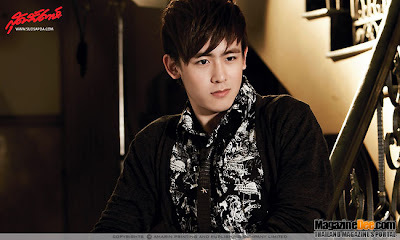 However, Mnet channel has been bombarded with hundred of phone calls from Nichkhun fans after the preview of the 3rd episode, where he is seen having a date scenes just like he had pictured, was showed to public. Some fans raged and showed envious remarks to the girl who was picked to be Nichkhun’s girlfriend. Some fans protested the show while some showed their interest in watching the program. 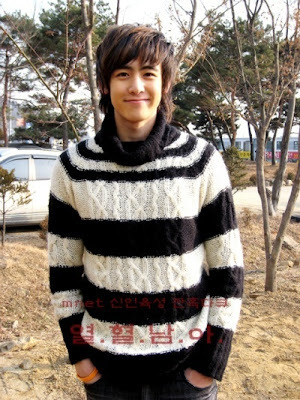 Mnet Scandal’s Nichkhun episode will be aired for two weeks on Wednesday night of May 20th and 27th, at 11:00 pm (korean time) on Mnet channel. 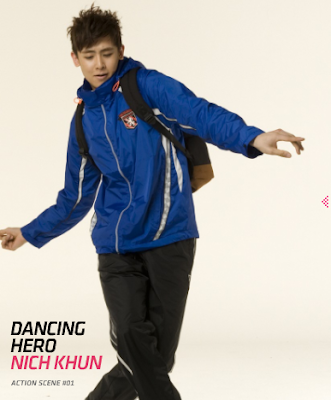 Seeing how confident Nichkhun is with Kim Min Sun, we can say for sure that Nichkhun sure knows how to treat them ladies. With his adorable charm, what girl (and boy?) wouldn’t drop down on their knees in a split second? I give Kim Min Sun props for being able to control her inner fangirlness, but the show would’ve been more entertaining if the girl didn’t control herself so well – a nervous klutz who did stupid things around him would’ve kept me laughing. Finally after their seven days of making love, the two split, like a banana split.. Speaking of bananas, I wonder if.. nevermind. Unfortunately, these videos don’t have subs yet. 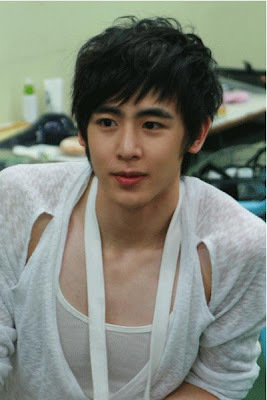 But who cares about the words, just watching Nichkhun will make you satisfied.. or in this case, make you want to rip the chick into pieces. Chicken strips anyone?